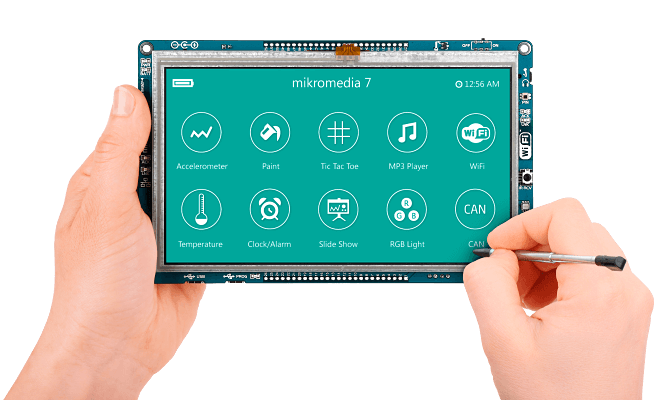 Mikromedia can be used as a powerful programmable dashboard control panel for both hobby projects, but also for the entire systems. 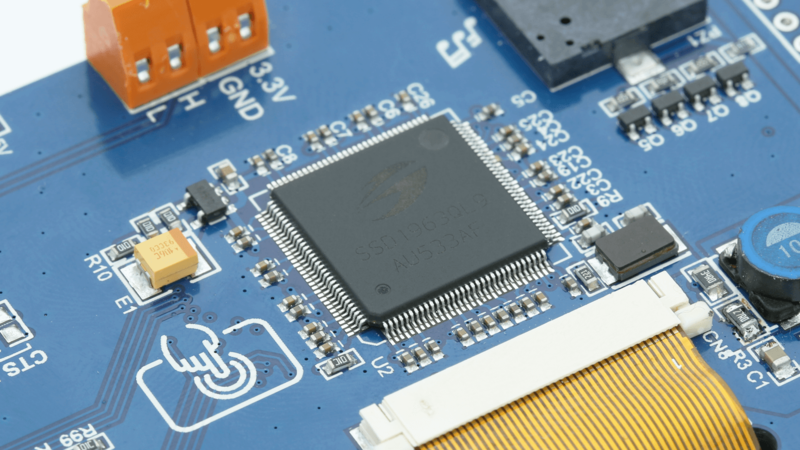 Based on the powerful STM32F407ZG ARM Cortex-M4 MCU family, it represents a powerful tool for building GUI-centric HID applications. 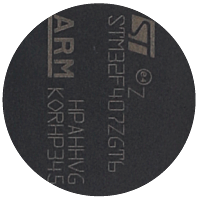 High-performance STM32 ARM® Cortex®-M4 microcontoller with on-chip FPU and DSP easily handles demanding applications. 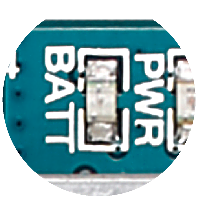 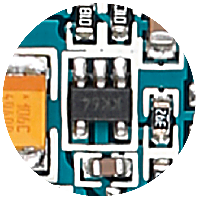 MCP73832 Battery Charger circuit enables you to charge your Li-Polymer battery directly from the USB port. 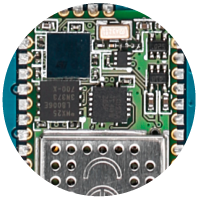 A mikroPROG programmer and hardware debugger is conveniently embedded on the board. 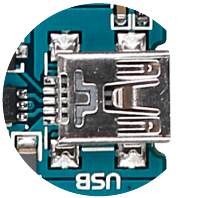 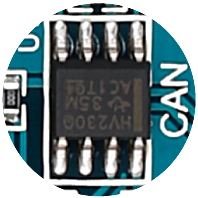 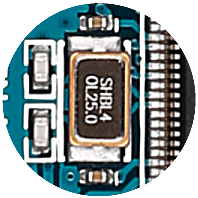 SN65HVD230 is a 3.3V CAN transceiver that provides CAN serial communication physical layer in accordance with the ISO 11898 standard. 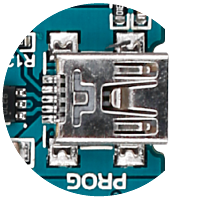 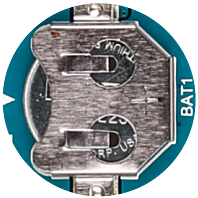 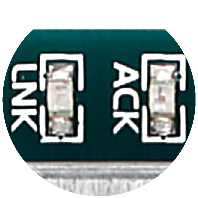 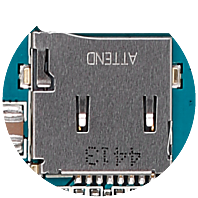 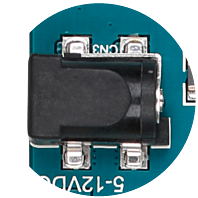 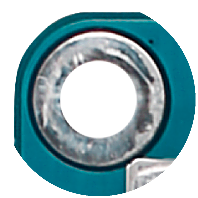 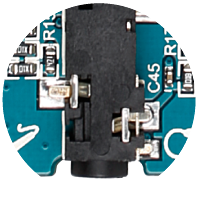 Quadrupole audio connector enables you to connect headphones with microphone to the audio codec chip and use it in your applications. 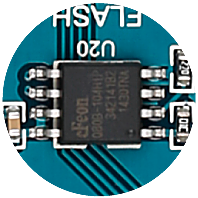 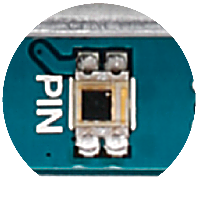 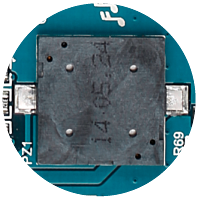 Active 2.4GHz ceramic chip antenna is part of the SPWF01SA WiFi module. 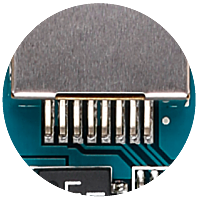 It ensures that you have the best wireless coverage. 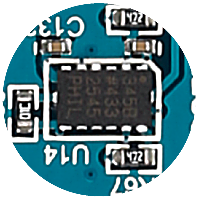 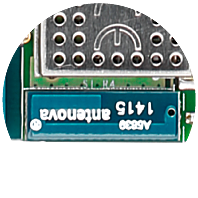 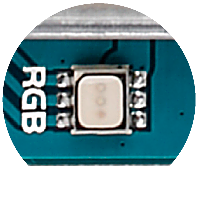 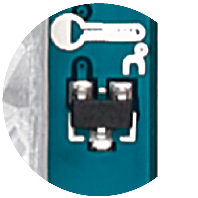 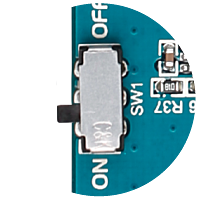 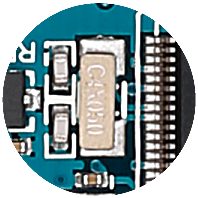 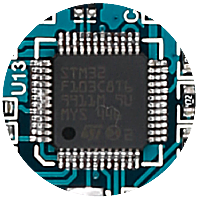 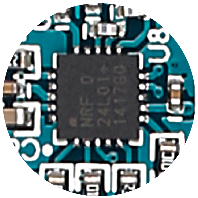 SPWF01SA is a WiFi module with an integrated antenna from STMicroelectronics. 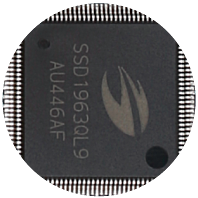 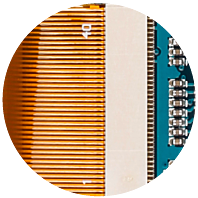 It implements 802.11 b/g standards, and features an embedded full featured TCP/IP stack, thus taking the load off the MCU. 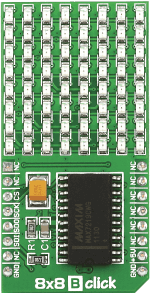 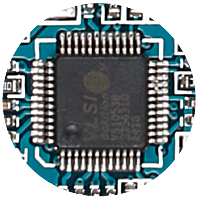 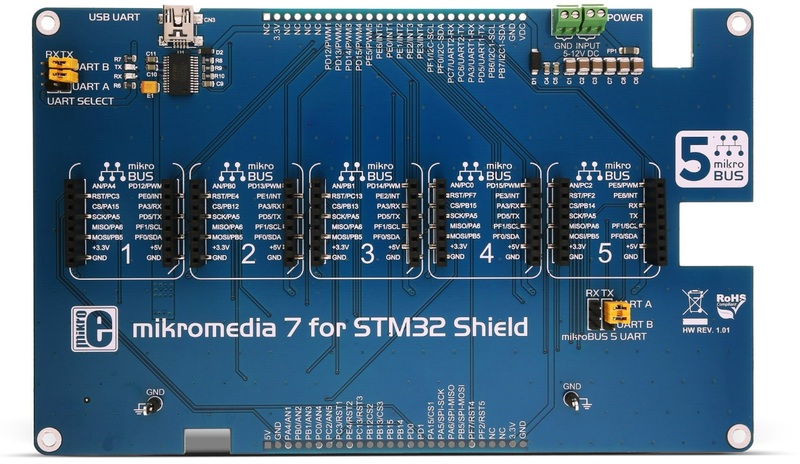 Pads for connecting and programming the board with external programmers for STM32. 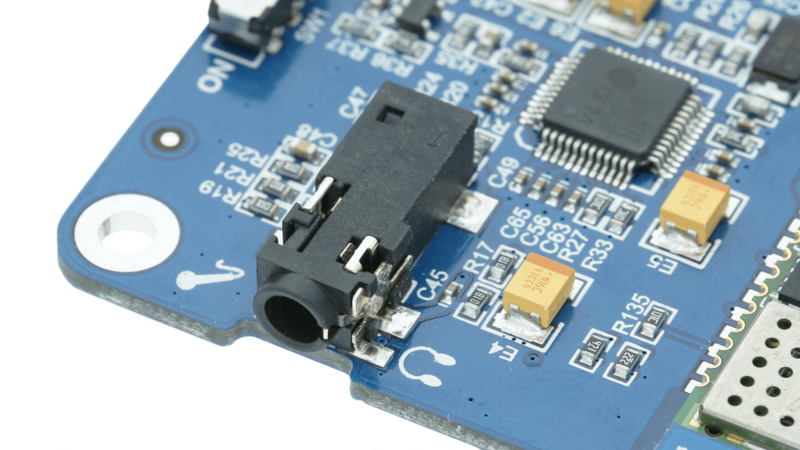 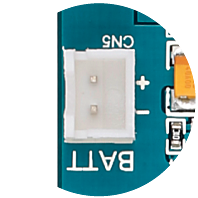 With the piezo buzzer you can debug your applications or have audio signalization features. 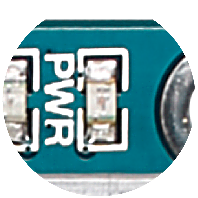 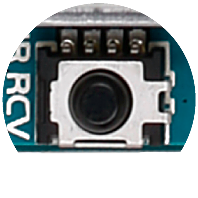 It can be connected to two digital output pins, one of which is the output of the PWM module. Mikromedia 7 for STM32F4F4 is fully supported by mikroC, mikroBasic, mikrobasic and mikroPascal compilers for ARM. 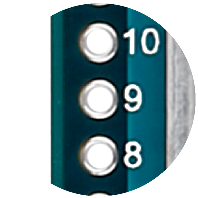 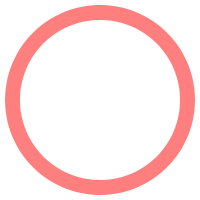 Compilers come with dozens of examples that demostrate every feature of the board. 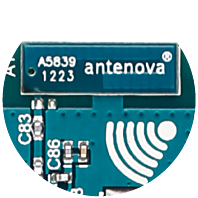 Mikromedia plus for STM32 is equipped with the Rufa 2.4GHz antenna, from antenova®. 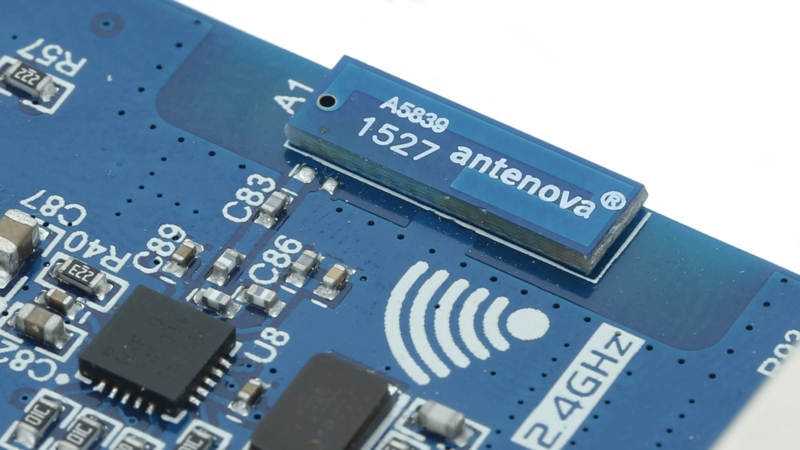 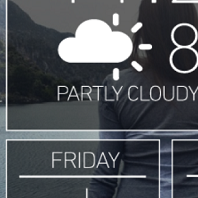 It allows easy development of applications that use wireless communication. 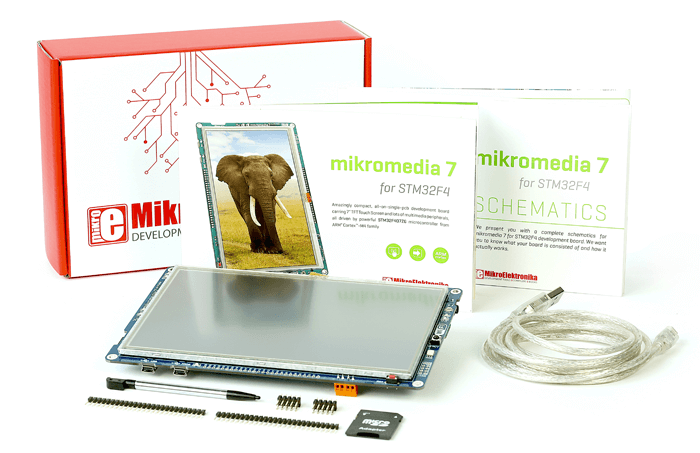 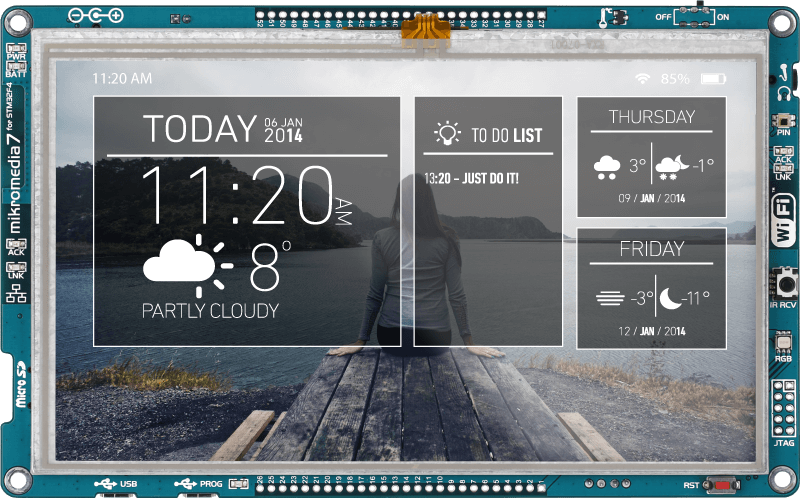 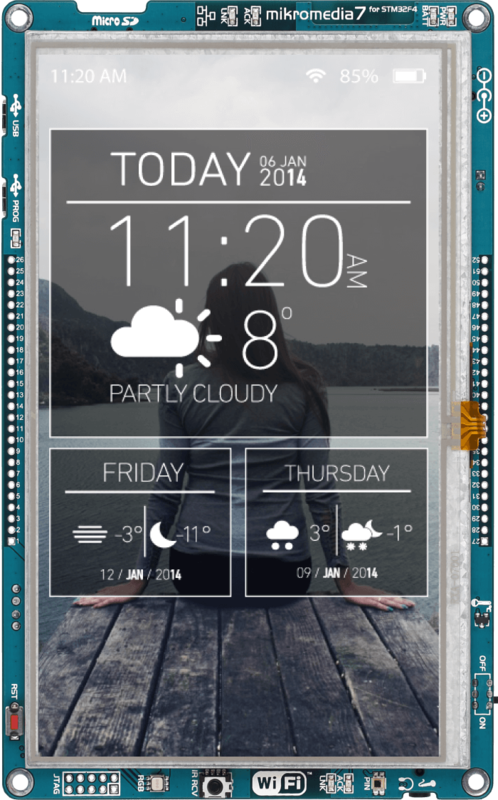 Make colorful TFT applications using Visual TFT software, compiler of your choice and mikromedia development board. 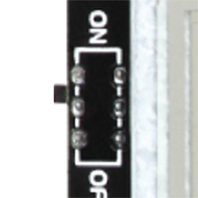 By it now for $338.00. 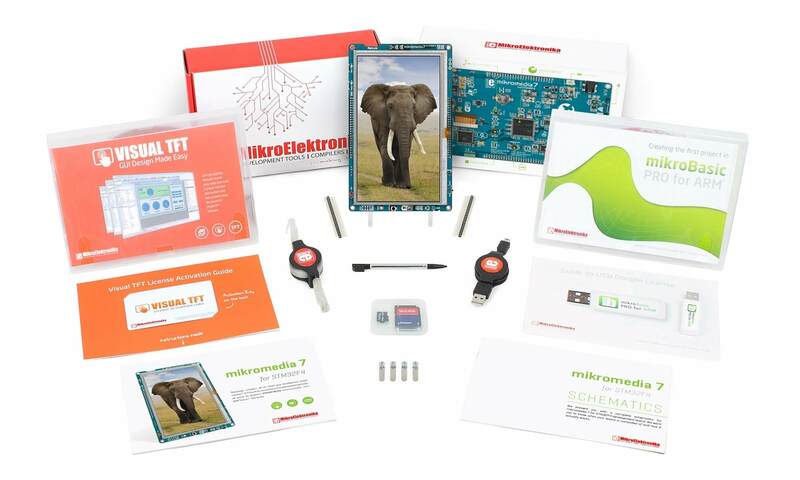 Kit Includes $34.5 worth of FREE products! 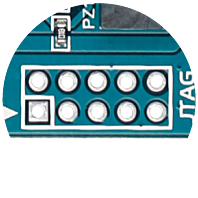 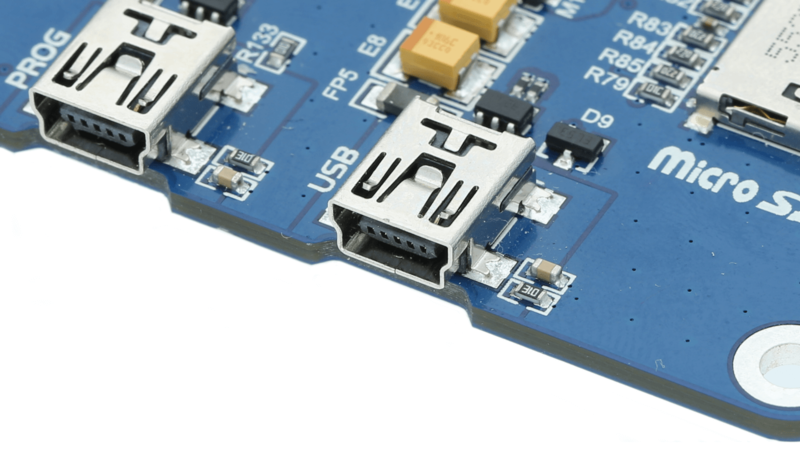 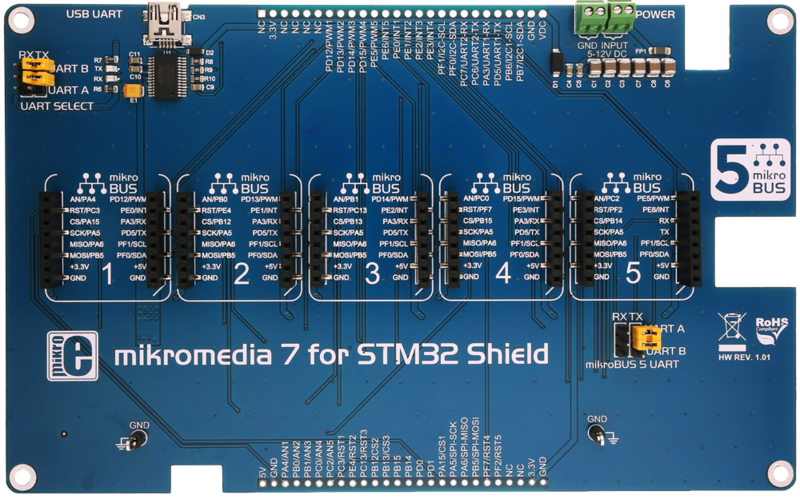 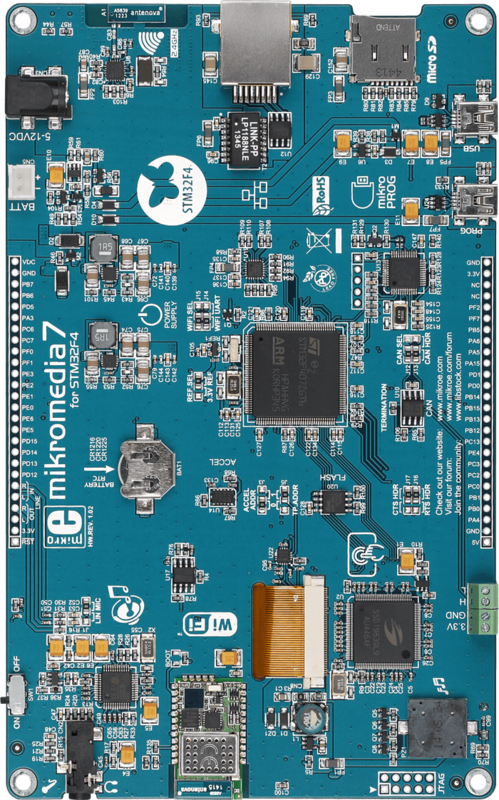 mikromedia 7 for STM32 Shield is the perfect way to expand the functionalities of your mikromedia 7 for STM32F4 and mikromedia 7 for STM32F7 with five mikroBUS™ sockets - add any functionality from our ever-growing range of click boards™. 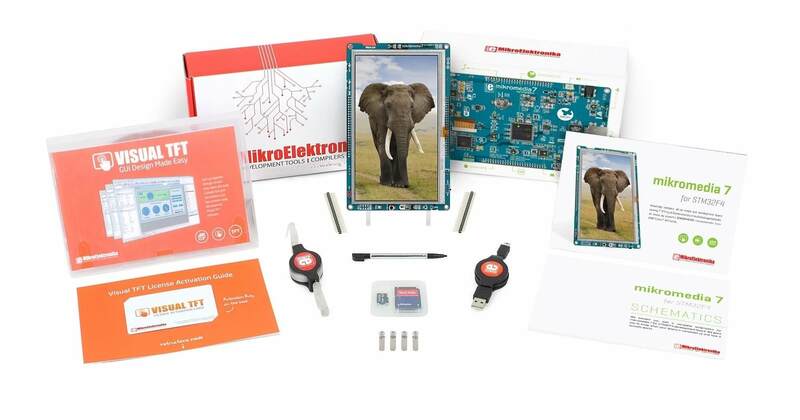 We are fully stocked with everything from sensors and wifi transceivers to motor control and audio amplifiers. 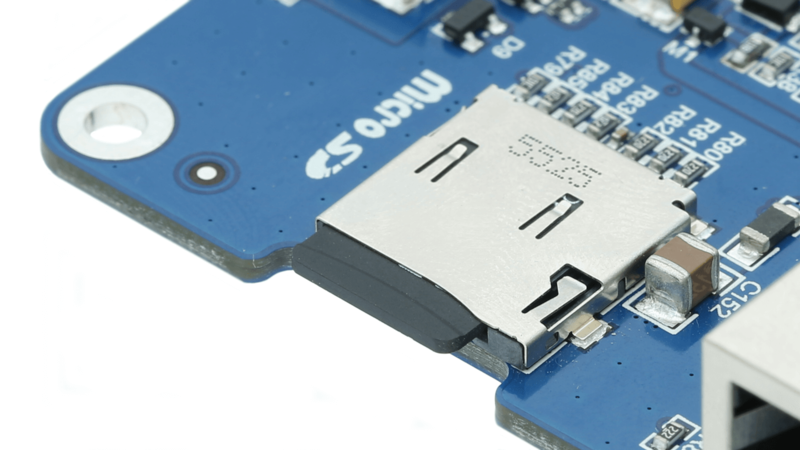 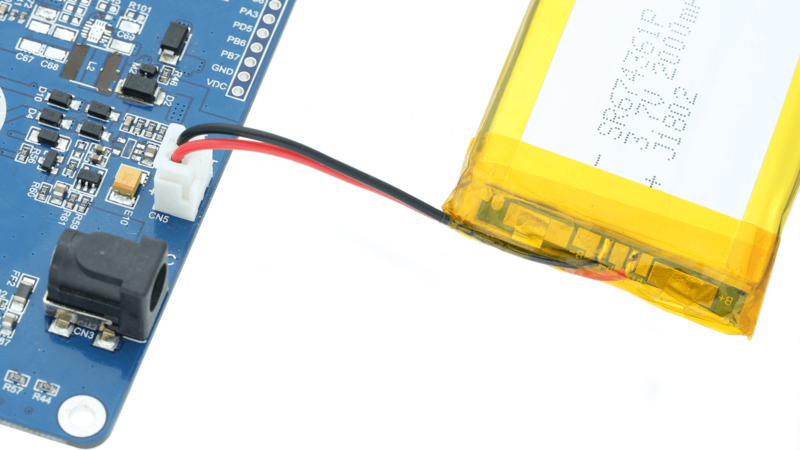 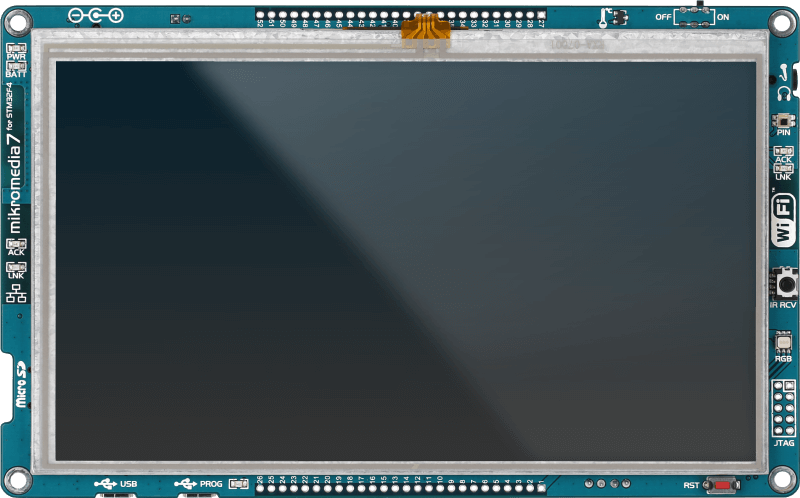 The board features a UART select jumper, 5 mikroBUS™ sockets, connection pads, FTDI USB-UART converter and an external power supply screw terminal.